Rule #73: Stay wild, my child. 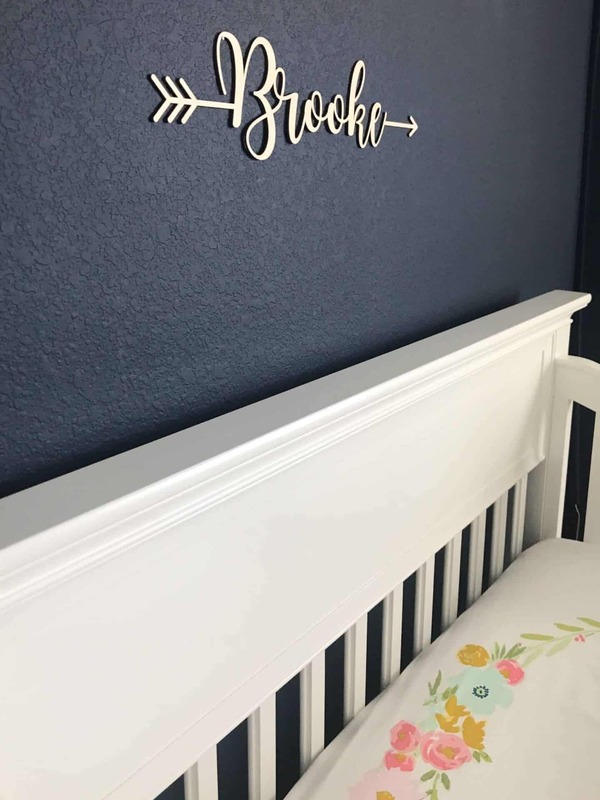 I knew long before Brooke was even a blip on the radar that if we had a girl, I’d want to decorate the nursery in a tribal theme. 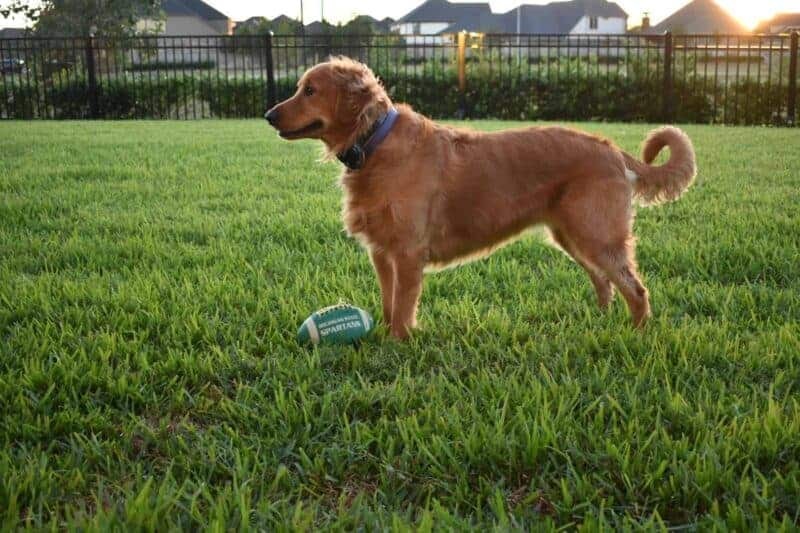 I love the idea of a “wild and free” vibe for our sweet little girl. I added soft hints, warm textures, and vibrant colors to make it as girly as I could while keeping the wild charm. 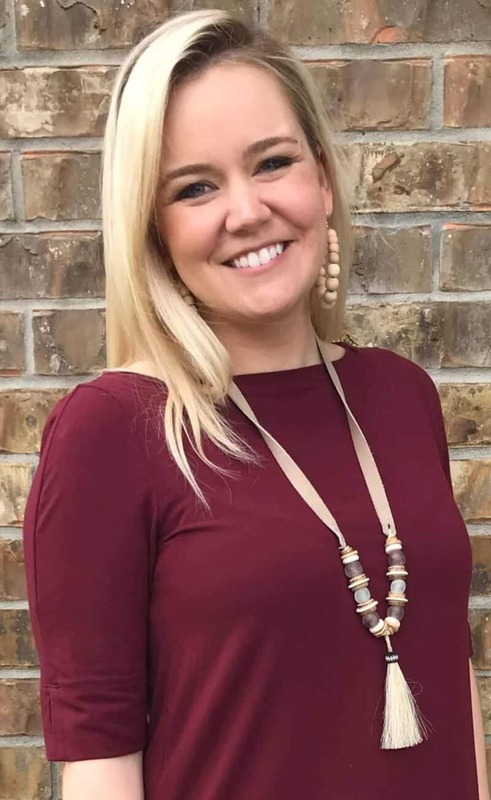 I’m so happy to finally be able to share it with y’all! 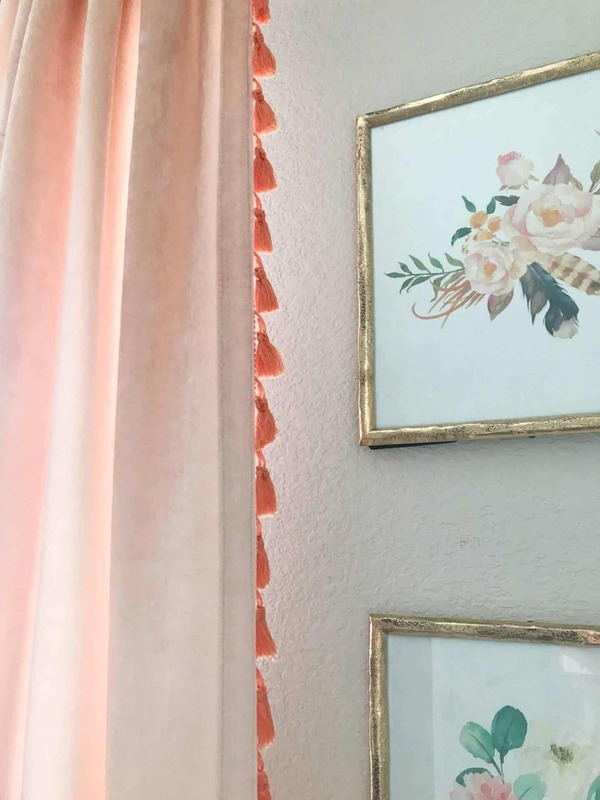 These curtains add a ton of girly flair with their coral color and warm texture. 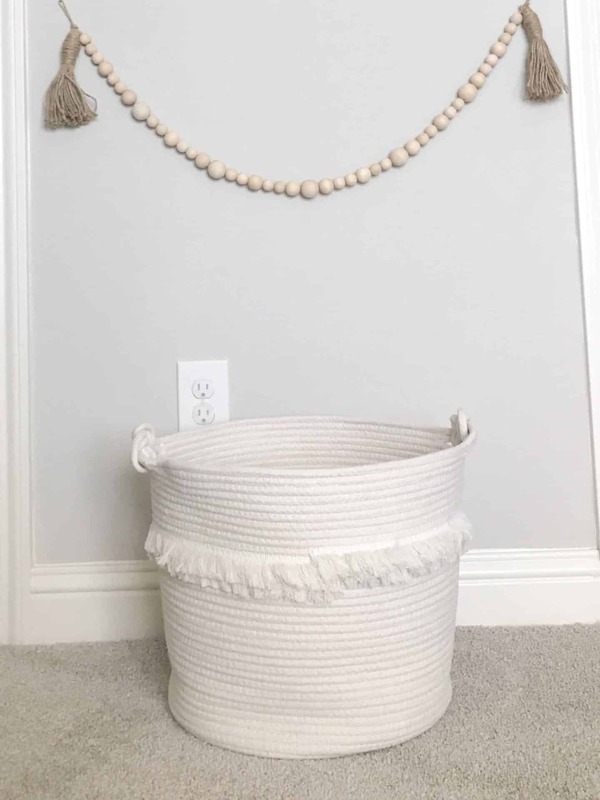 I added some ‘natural’ touches to the room like this woven basket. 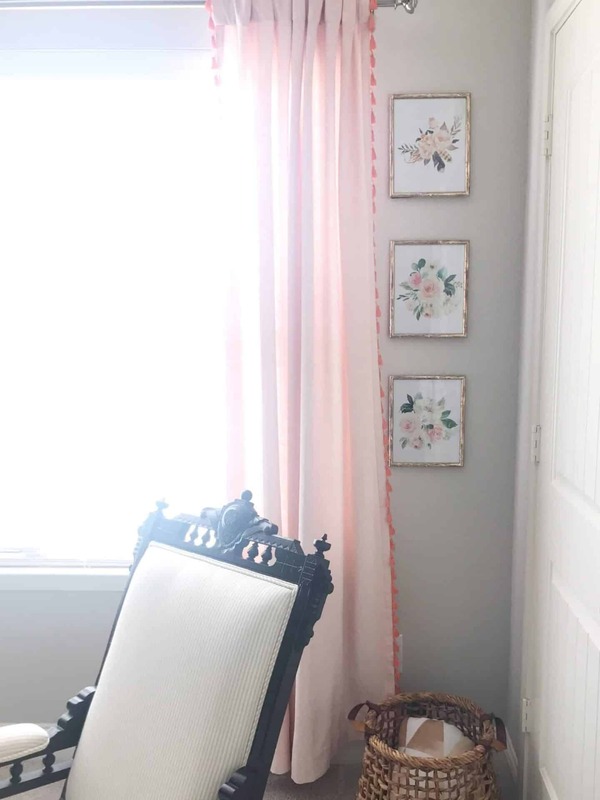 I know I’ve talked about this chair before, but I absolutely love it. 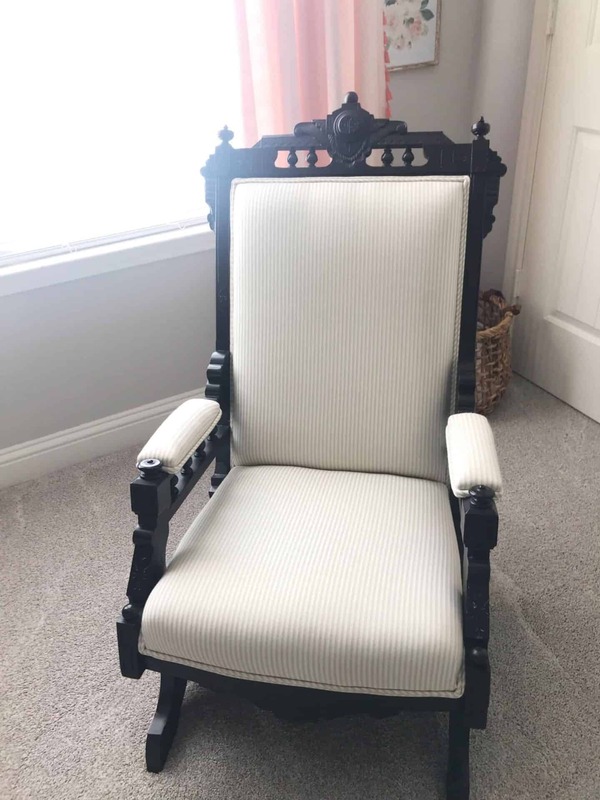 We had it refinished and reupholstered before Corey was born for his nursery. It was my great-grandmother’s, and it’s so special to me that I get to rock my babies in it now. 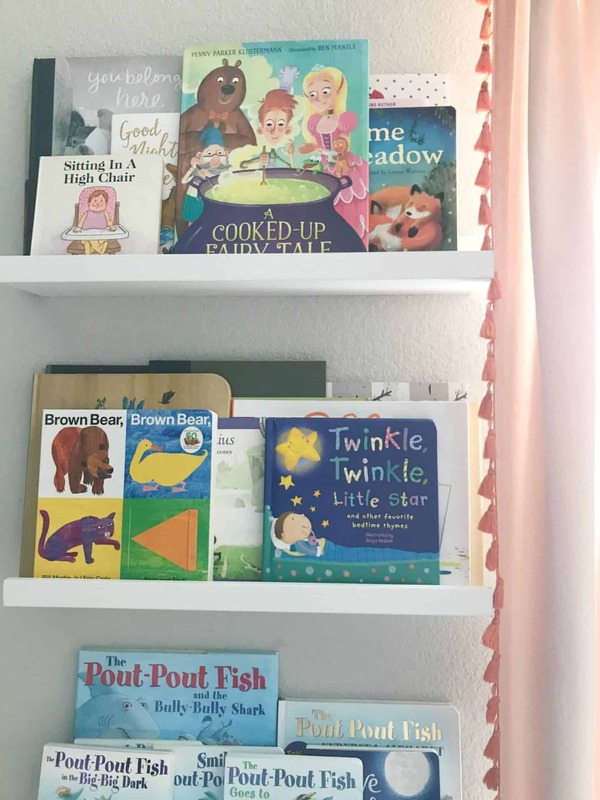 The bookshelves in the nursery are actually picture shelves. 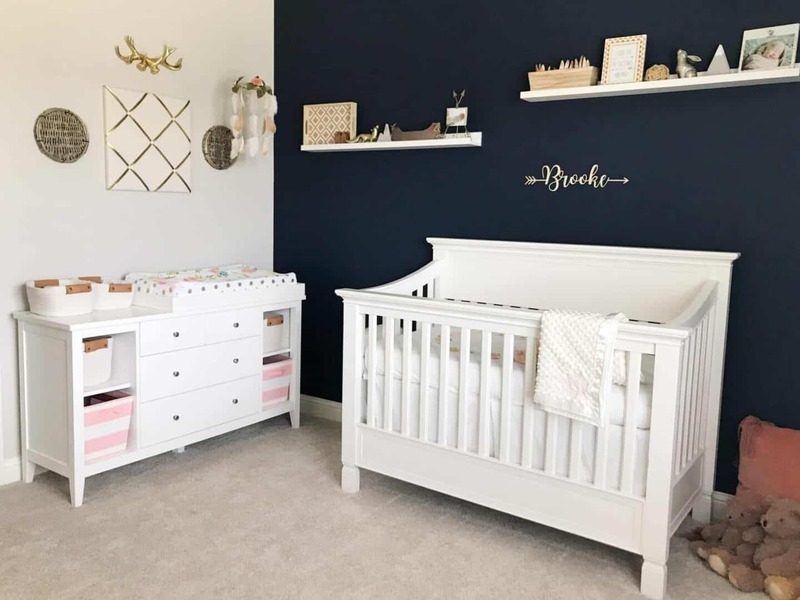 They work perfectly in this space though, and we’ve even added the darker colored ones to Corey’s big boy room. 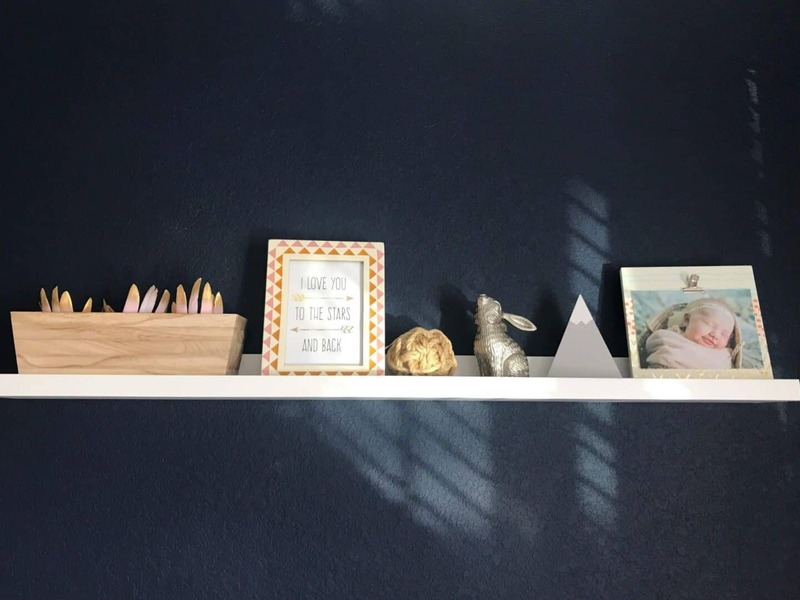 The stackable cubes in the corner are perfect for displaying our favorite books, lovies, and picture frames. We also have her night light and sound machine on them for easy access. 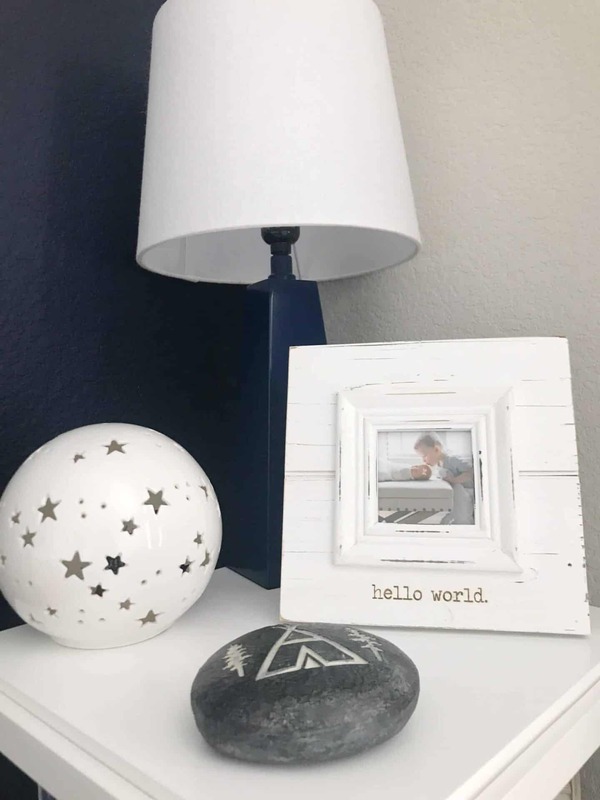 They’re durable, too, which makes them perfect for a kids’ room! 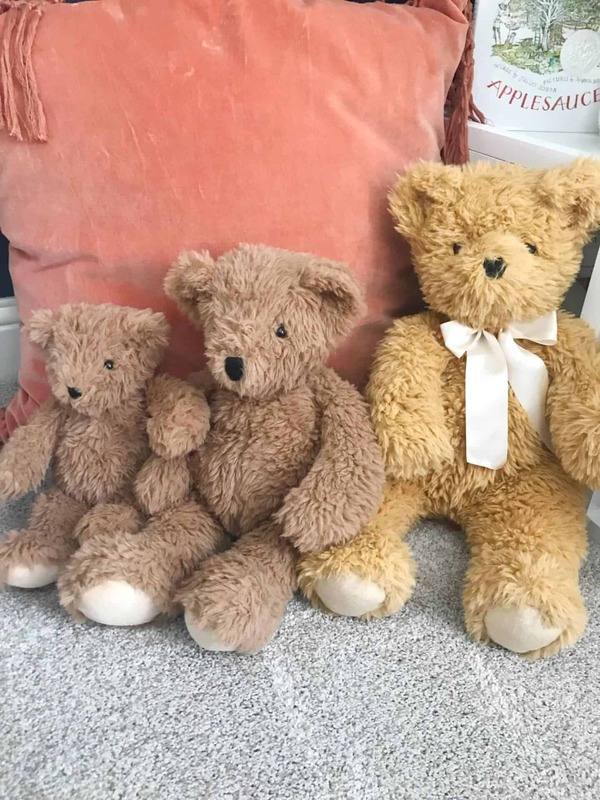 These three bears. They’re special to me beyond any words I could possibly write (but I’m gonna try to explain anyway). 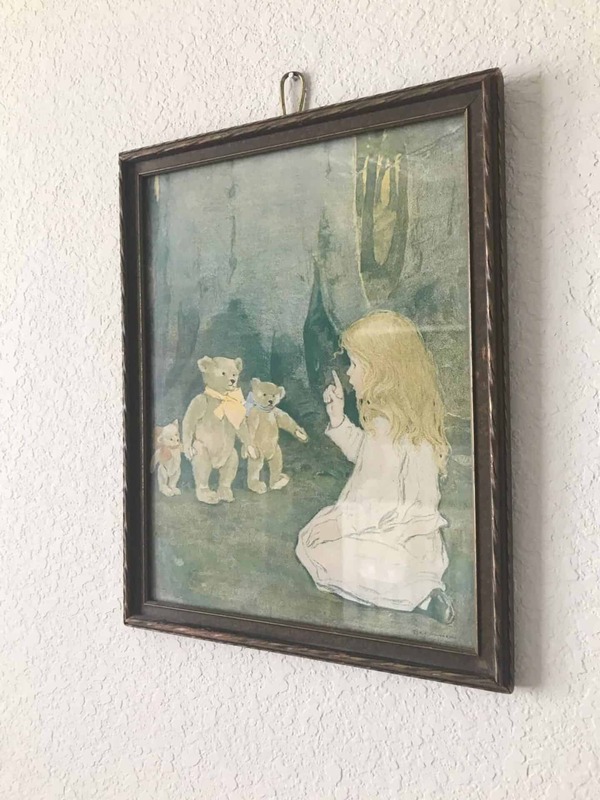 This picture hung in my aunts’ rooms when they were little girls. Then, when I was born, my aunt sent it to hang in my nursery. Then, when my aunt was pregnant with her first daughter, my dad sent it to her for their nursery. 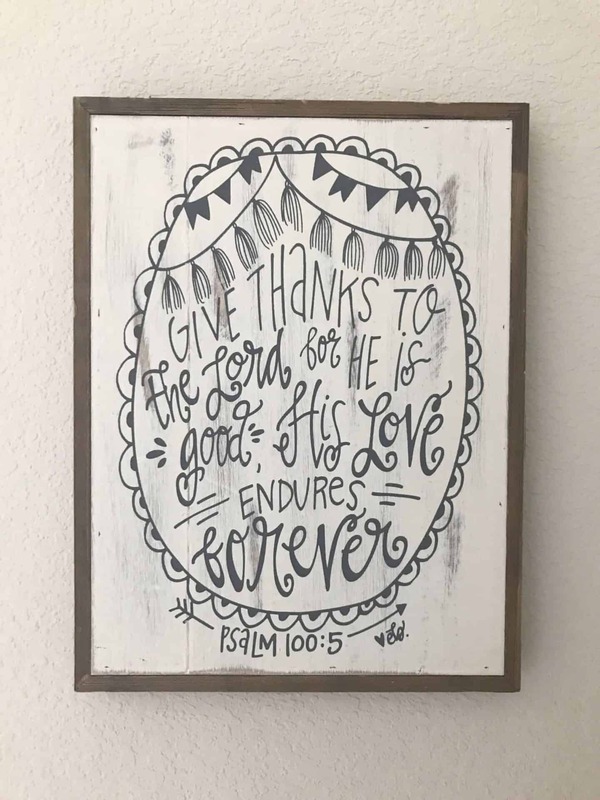 Now, it hangs in Brooke’s room. My aunt gave it to me this past Thanksgiving along with the three bears, and I absolutely lost my emotional marbles. It means so much to me to get to have this piece of family history. I’ve had this sign for over 3 years now. 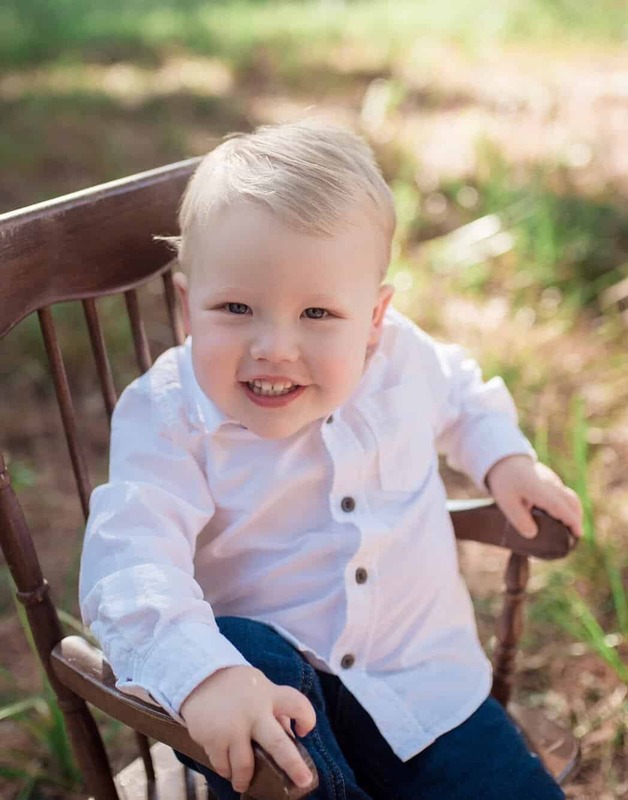 Guilty admission: I bought decorations for both a boy’s and a girl’s nursery when I was pregnant with Corey. Since we waited to find out the gender until the baby was born, I kept all the receipts. Too bad for ole Jon Boy I decided to just hang on to the girl stuff anyway in case we had a little bow-headed baby. Lucky for me, we did! 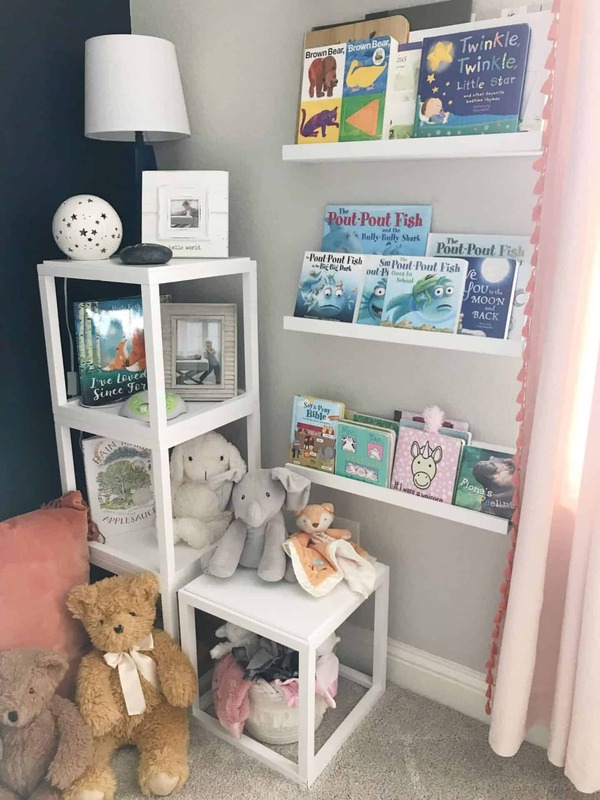 These shelves are the same as the bookshelves, just the longer version. 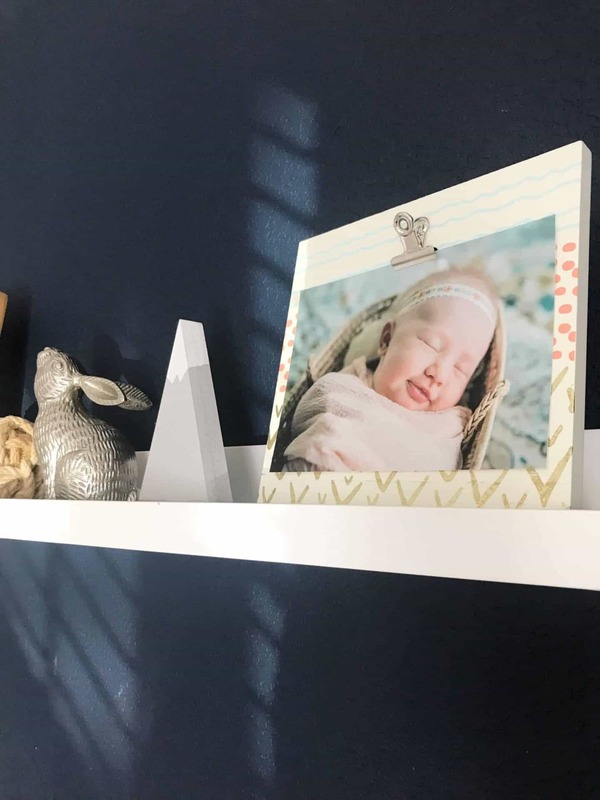 I wanted to add some fun knick knacks to keep the theme alive above Brooke’s crib. This print was a definite must! I love the colors on the frame, too. 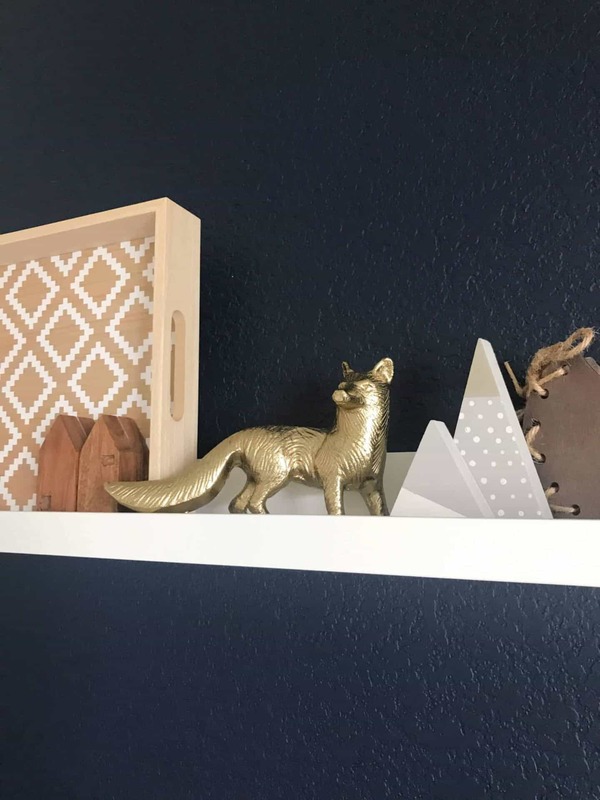 I thought that little fox was just too cute to pass up. I like that it’s in the tribal theme, but it’s not “kiddish” if that makes sense. The tiny wooden houses are actually place card holders from Magnolia Home. I thought the wood added a nice touch of ‘natural’ to the shelves. 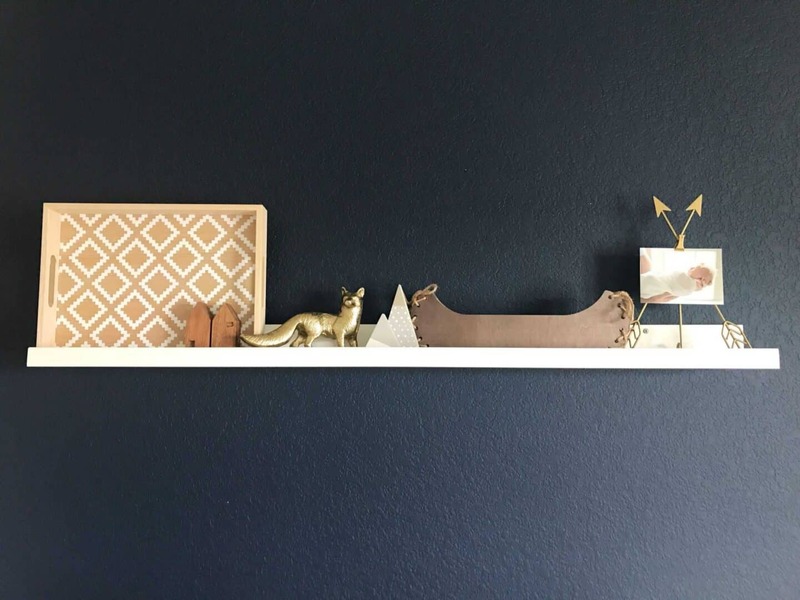 The wooden mountains are one of my favorite Etsy finds! They are adorable! 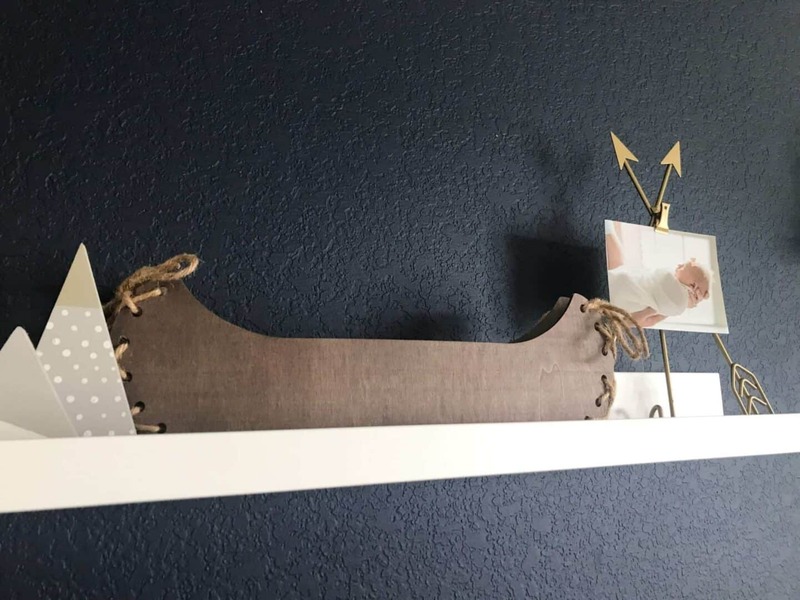 The canoe was a lucky find at Hobby Lobby! I searched for hours on Amazon and never found one that fit the bookshelf. 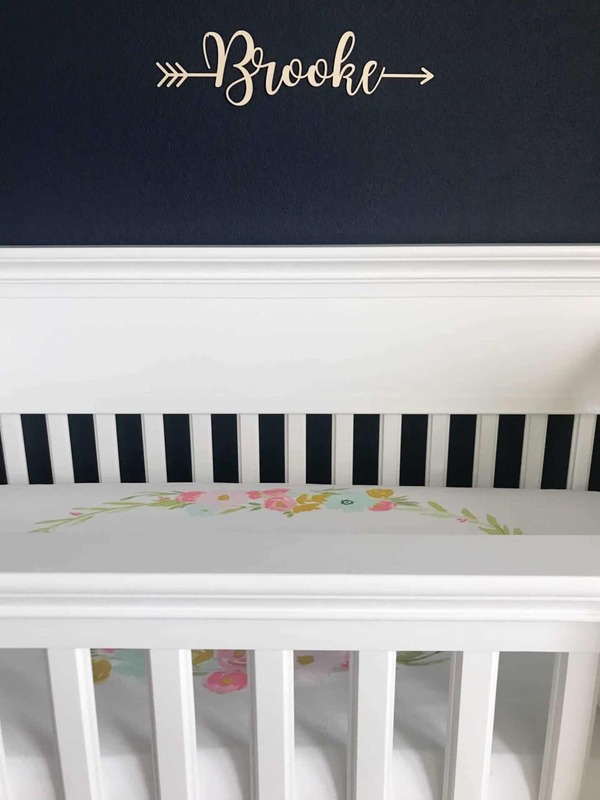 Brooke’s custom name sign was a great Etsy find, too! I love how it turned out! 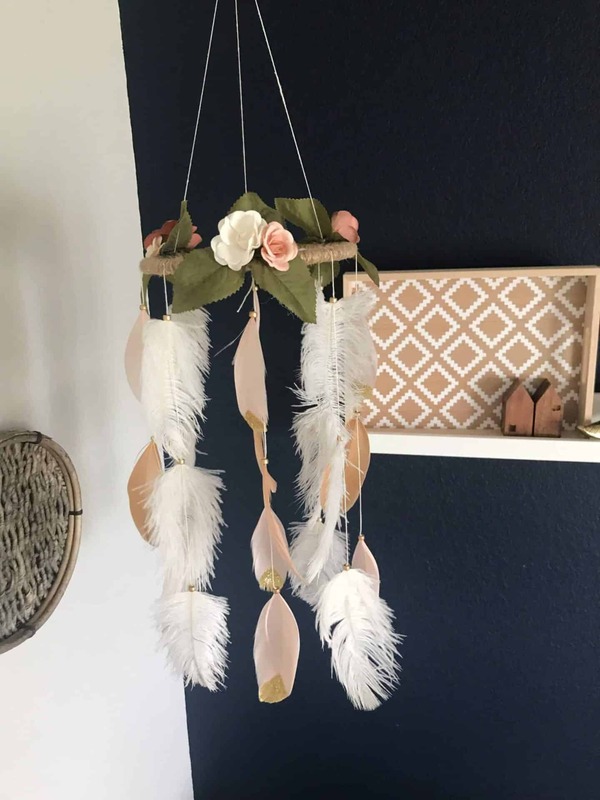 One of the things I really wanted for her tribal nursery was a floral dream catcher. I just love how feminine and sweet it is! 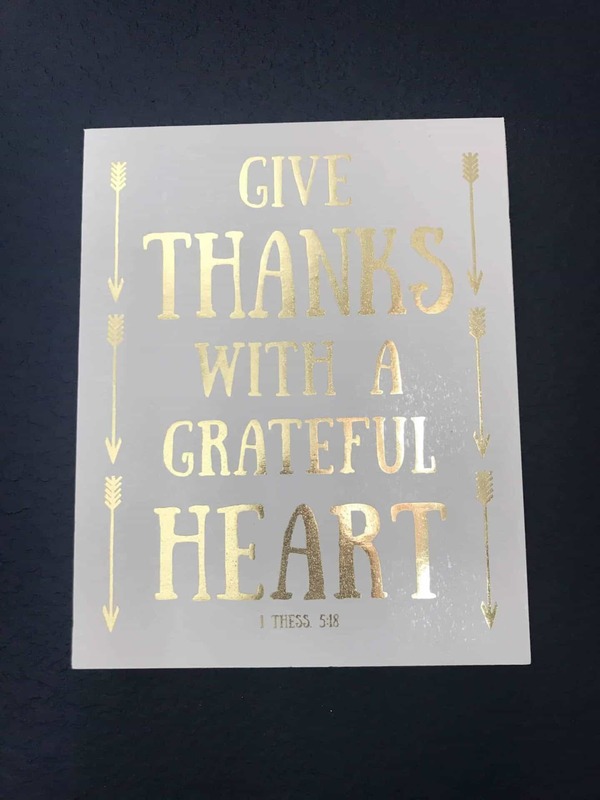 I found this one on Etsy also. 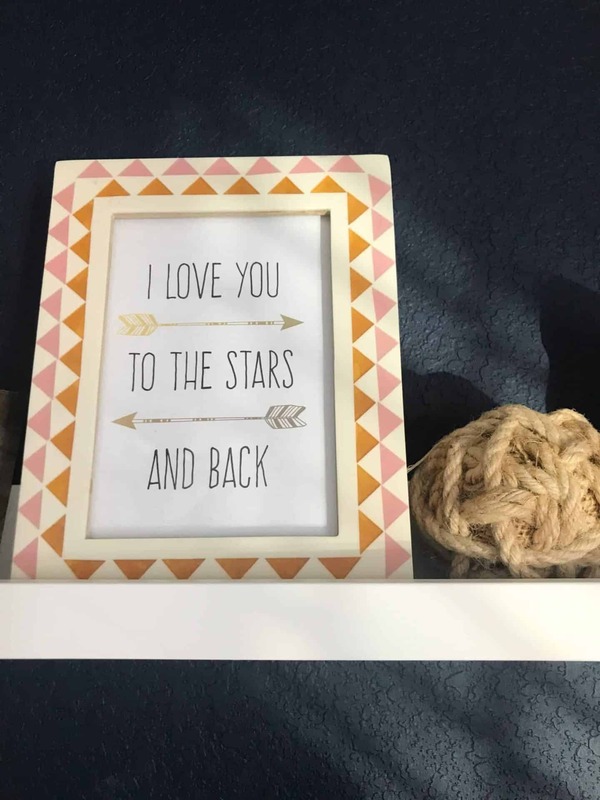 We hung it above her changing table so she’d having something fun and sassy to look at while we were doing our business. The antlers were another lucky Hobby Lobby find a couple of months ago. I couldn’t pass up the pop of gold! 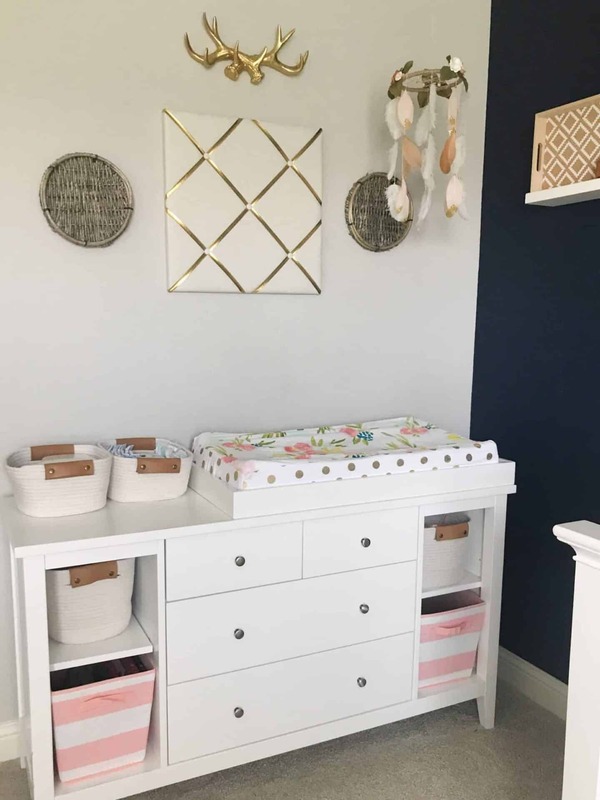 This dresser + changing station has been amazing. It’s withstood all of Corey’s crazy antics (and epic blowouts). 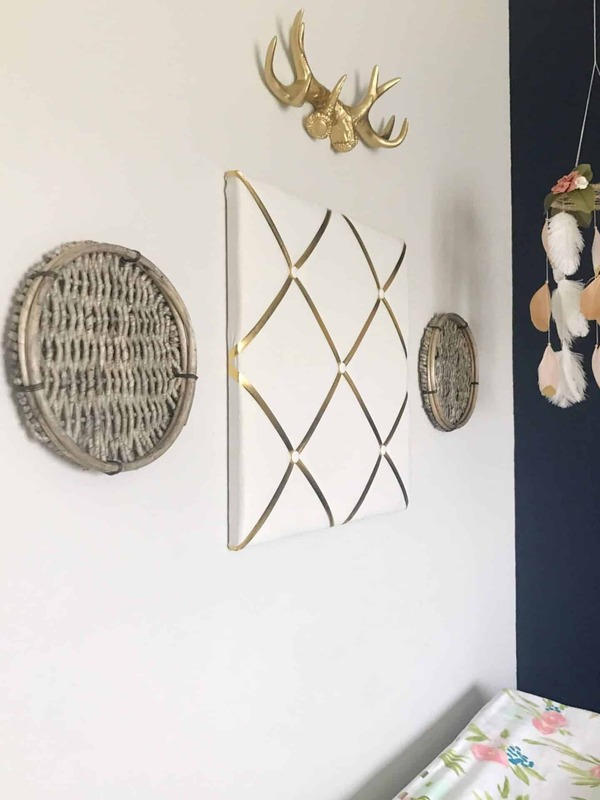 The woven trays are really meant more for organization and storage, but I thought they’d be perfect to compliment the sassy antlers with a more muted, natural feel. 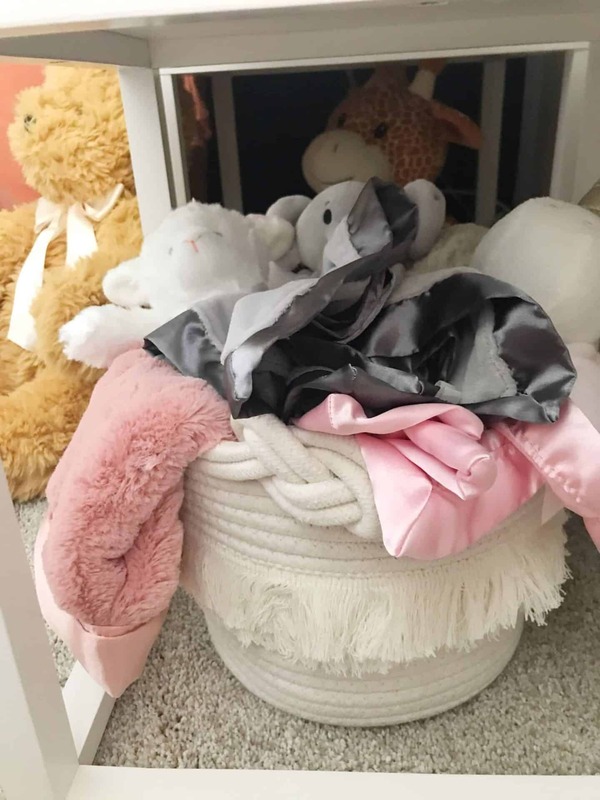 I bought two different types of baskets for organizing the changing table + dresser. 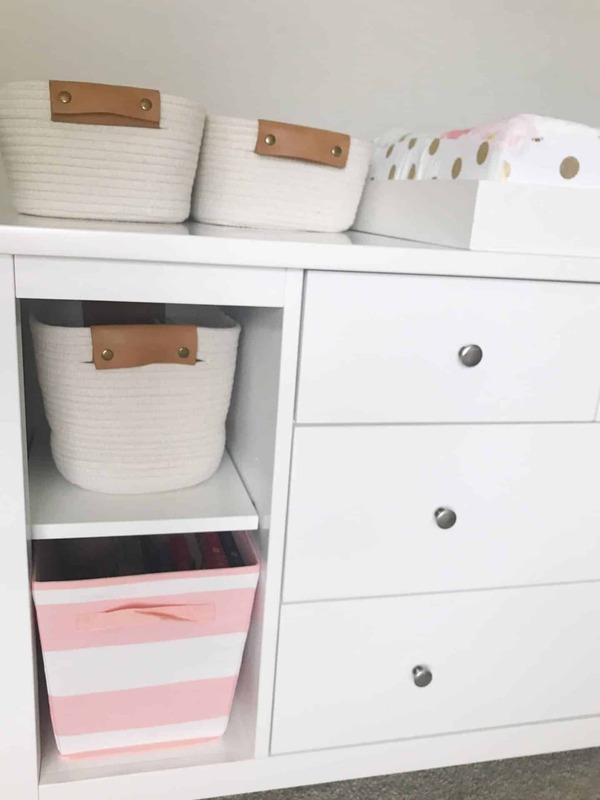 I liked the natural feel of the woven baskets and the cute, sweet pop of pink from the buckets. 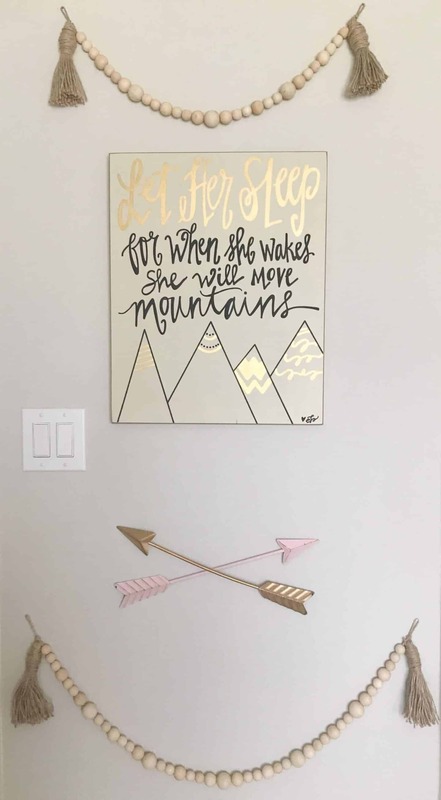 This arrow wall plaque was perfect for behind Brooke’s nursery door. 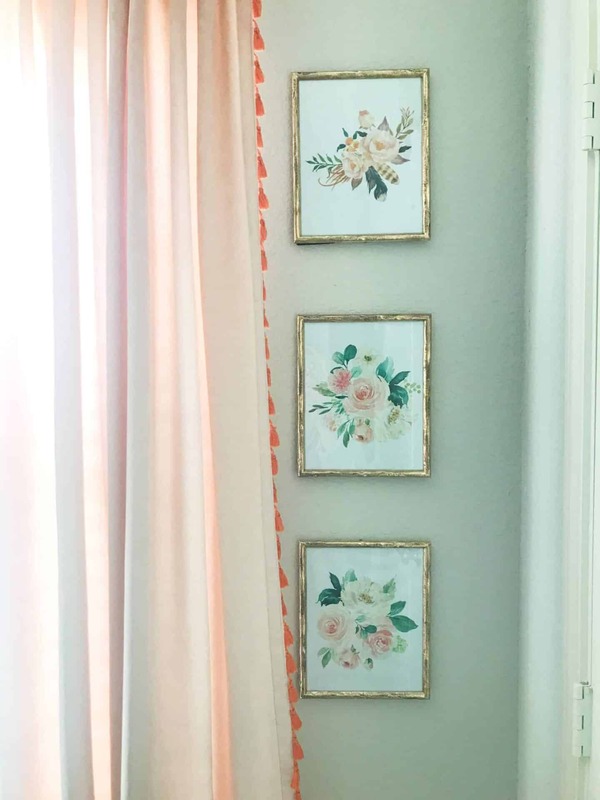 I plan on hanging all the things here so they’re hidden from view (and off the floor)! 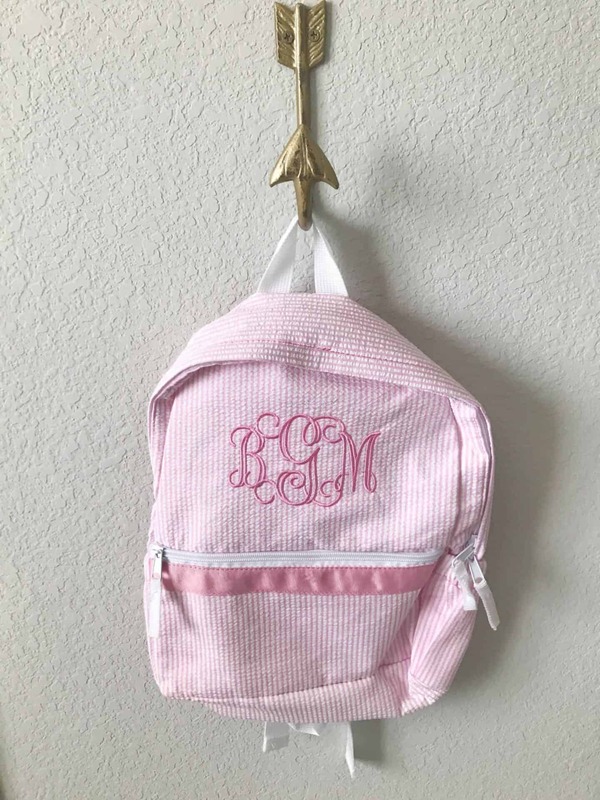 I love this sweet pineapple backpack my friend sent me when we had Brooke. It’s legit amazing for carrying all the baby goods! This is another piece I’ve kept hidden from Jon Boy for 3 years now. Shhh. Don’t tell him. It’s our secret, right? 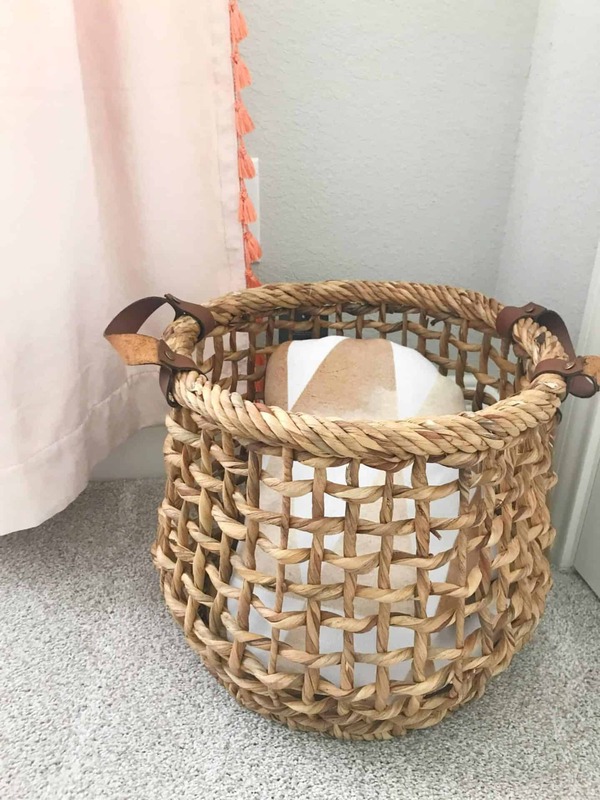 I bought this cute basket to use as Brooke’s hamper. I love the fringe and the woven handles! It even has a matching little buddy we’re currently using for her lovies! 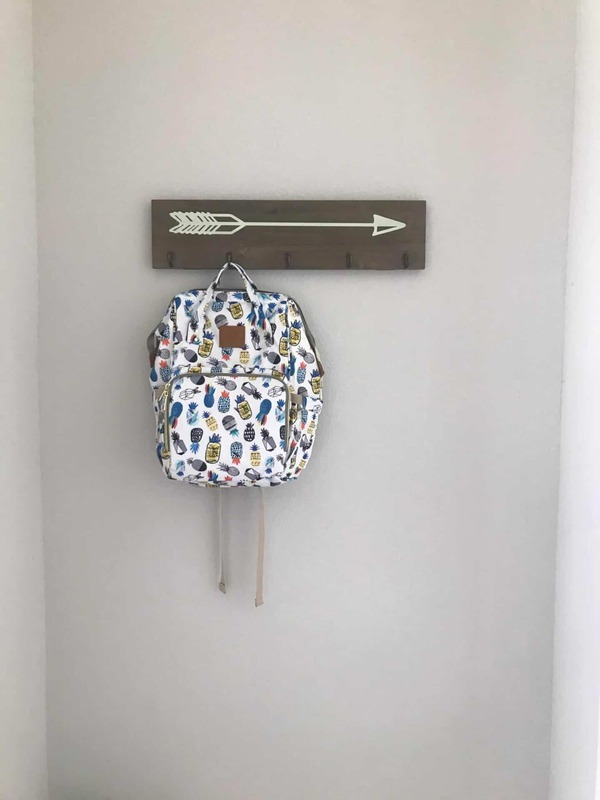 I loved this arrow hook to hang Brooke’s little backpack on. Shhhh – that sign is yet another piece of evidence of my 3-year-hoarding stent. I loved the beaded garland with the natural tassels to go around the sign. The arrows were a must-have find from Etsy. 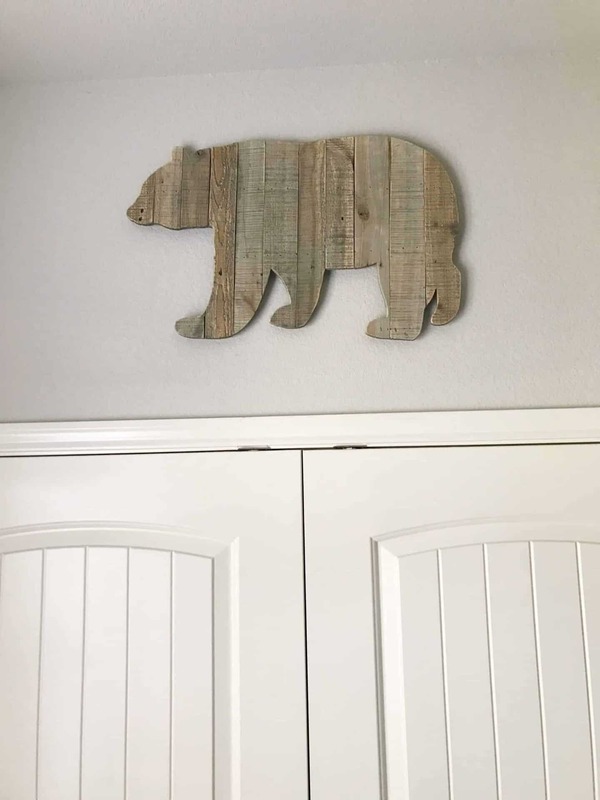 This sweet bear wood pallet is above her closet. 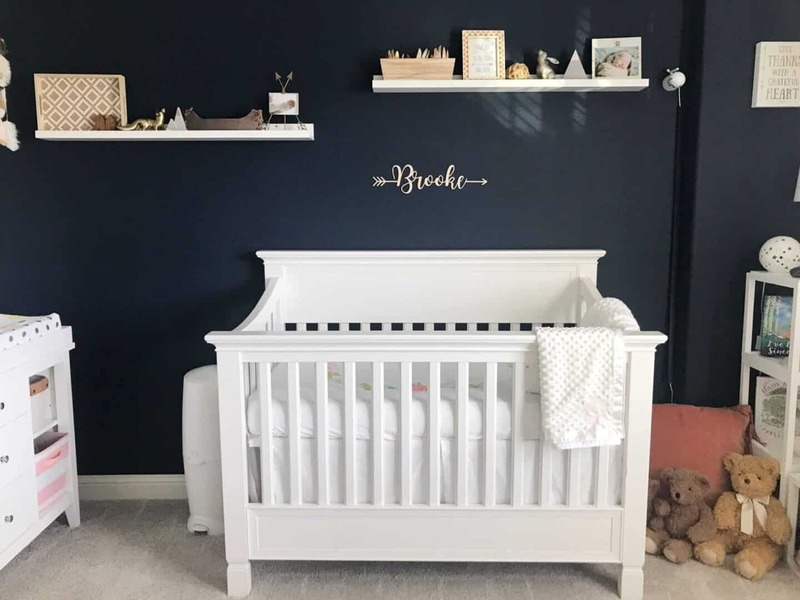 I’m excited for all the memories this room will hold for Brooke and for us. The theme matches her personality already to a T: sassy, sweet, wild, precious, and unique.